The 10 Best Museums in Oregon! A trip to the museum is always a treat, and in Oregon we are sure to have something to delight everybody. From science to art to history we have collections from around the world as well as our backyard. While many museums are found in the city of Portland, there are many others to explore as you travel the state. Featuring planes ranging from a replica of the 1903 Flyer that the Wright brothers flew to the SR-71 Blackbird which can fly at speed up to 2,000 miles per hour, the Evergreen Aviation & Space Museum allows you to dive into aviation history. Need help navigating the exhibits featuring famous planes? The museum offers tours often provided by veteran pilots, even allowing you inside the giant Spruce Goose with a wingspan of 320 feet. Additionally, the museum campus houses a movie theater and water park. Built in 1914 by Henry Pittcock, the Pittock Mansion is now a Portland-owned museum that offers a glimpse into the daily life of the former owner of The Oregonian newspaper. The mansion has 22 rooms along with gardens outside that visitors can tour. It is one of only a few publically accessible historic homes in Portland. Surrounded by 46 acres of forest, the estate offers hiking trails and stunning views of Portland and Mt. Hood. Located next to the Oregon Zoo, the World Forestry Center educations visitors on local and global forests. Tour the museum where, using the forests of the Pacific Northwest as an example, you will learn about the life cycle of the forest. Outside you can see a five-million-year-old, 10,000-pound petrified stump of a Giant Sequoia as well as “Peggy” a 42-ton Lima Shay-geared locomotive, estimated to have hauled a billion feet of logs in her lifetime. Many of the exhibits at the World Forestry Center are hands on a great for kids. Opened in 1998, the Tamastslikt Cultural Institute lets you immerse yourself in the history and culture of the people who inhabited this land for more than 10,000 years. Celebrating the traditions of Cayuse, Umatilla and Walla Walla Tribes through exhibits, artwork, a Living Culture Village, and events the museum is one of a kind in Oregon. Interactive and fun, this museum is designed to build kid’s curiosity in the world around them. Children can choose between multiple hands-on exhibits including water works, clay, and even construction or head outside to check out even more activities. When your child is done discovering their inner thespian or picking up groceries at the “Grasshopper Grocery,” you can explore the rotating exhibits. Looking for something new? Sign your child up for the camps and classes offered by the museum. 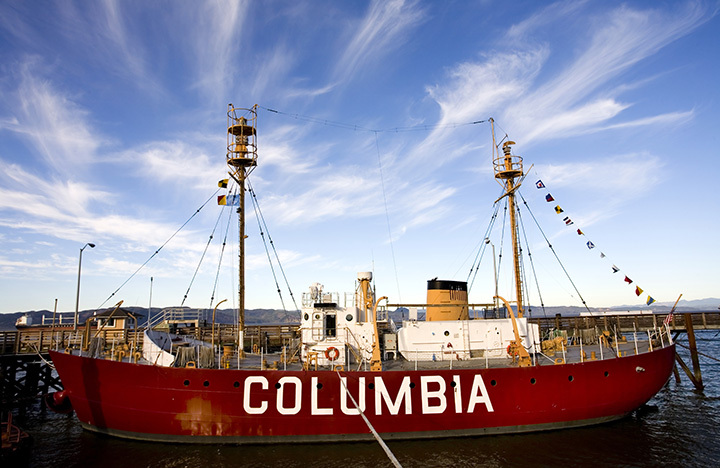 Located at the mouth of the Columbia River, one of the most dangerous stretches of water in the world, the Columbia River Maritime Museum educates visitors on the history of the region and the Coast Guard located there. Visitors can stroll through the museum learning from interactive displays, including one depicting the 40 foot waves that can occur during winter storms, before heading outside to exploring the lightship Columbia. The museum also features an IMAX theater. 12,000 feet of exhibits featuring life-sized dioramas, replica wagons, authentic artifacts transport visitors along the 2,000 mile Oregon Trail. Looking for even more history? The National Historic Oregon Trail Interpretive Center includes an outdoor pioneer wagon encampment, mining site and 150 seat theater offering history presentations and other educational information. Hiking trails surround the museum, including one which will lead to the Oregon Trail. The oldest museum in the Pacific Northwest and the seventh oldest in the nation, the Portland Art Museum is known for their vast permanent collection. Encompassing more than 42,000 objects, the collection ranges from Native American art, to English silver to Asian art and other graphic arts. 90 percent of the 112,000-square-foot museum is dedicated to the permanent collection leaving room to feature traveling collections. The Oregon Museum of Science and Industry offers interactive exhibits that both the young and old will enjoy. Displays range from computers to outer space, labs are located throughout the museum offering an in depth look chemistry, and even insects. Hands on play areas featuring sand and water tables will engage youngers. The museum also offers an Omnimax theater, planetarium and motion simulator. Special traveling exhibits are frequently featured throughout the year. At the University of Oregon Museum of Natural History visitors can learn about archaeology through their extensive collection of ethnographic and archaeological objects, fossils, and biological specimens from Oregon, the Pacific Northwest, and around the world. The museum also offers educational programs, family events and informational tours. Those who can’t make it to the museum can check out an offering of their collection through their web galleries.